The top 6 are performing on American Idol so in honor of tonight’s theme I’ve cooked a “Queen” inspired dish for Yahoo! Music editor Lyndsey Parker and her Reality Rocks blog. 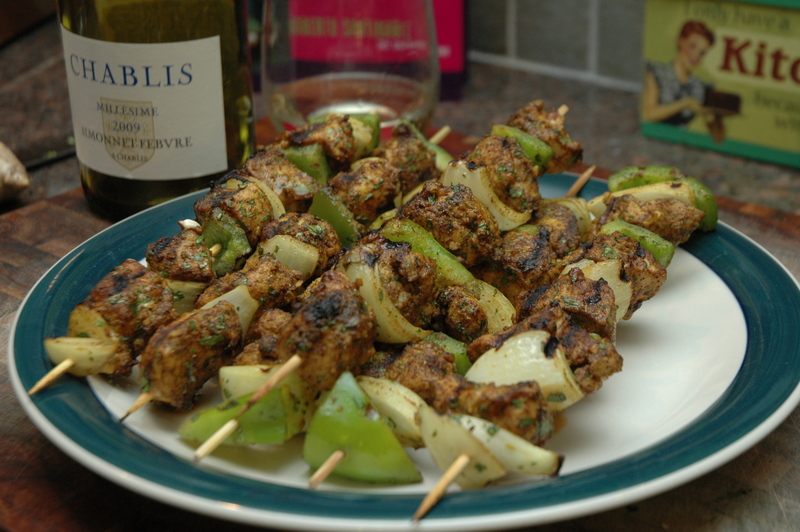 Apparently the British front-man, Freddie Mercury, loved Indian cuisine so I came up with a spicy and delicious snack in his honor! One of my favorite Indian (some argue it’s more English) dishes is Chicken Tikka Masala. Cooks Illustrated has an amazing recipe for the popular entree so I’ve used a version of their Masala sauce as the foundation for my dish. The rub for the chicken turned out way better then I expected. 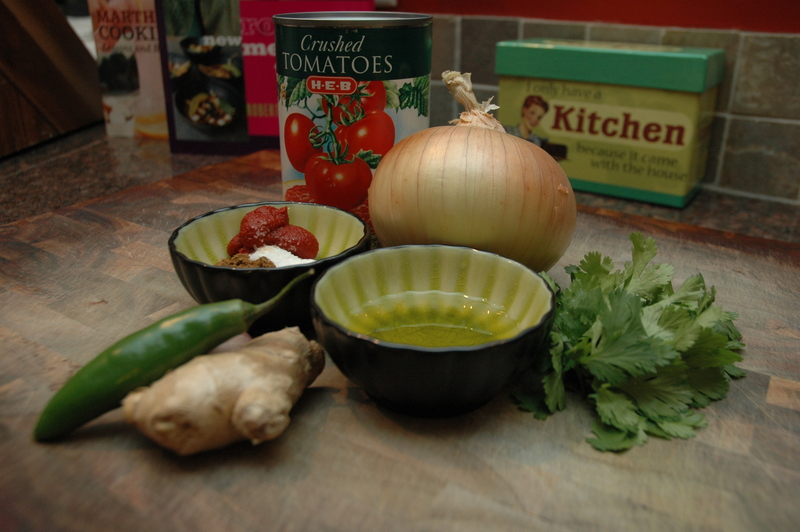 I have a multitude of Indian spices tucked away in my spice drawer so I thought, what the hell, I’ll let my nose guide me…and it worked! Word to the wise, if you don’t remove the seeds from the Serrano it is VERY spicy, but if you’re in to burning your face off like I am, I would leave them in. 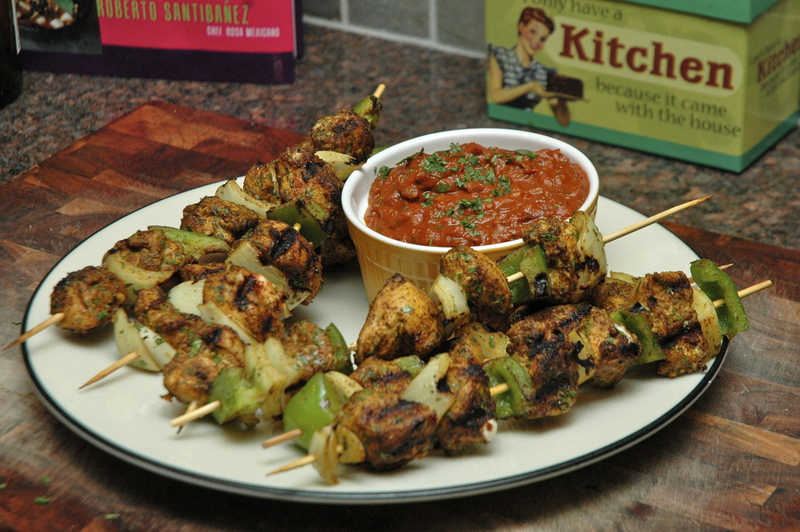 Check out tonight’s recipe on Reality Rocks HERE! **The picture is missing the cream. 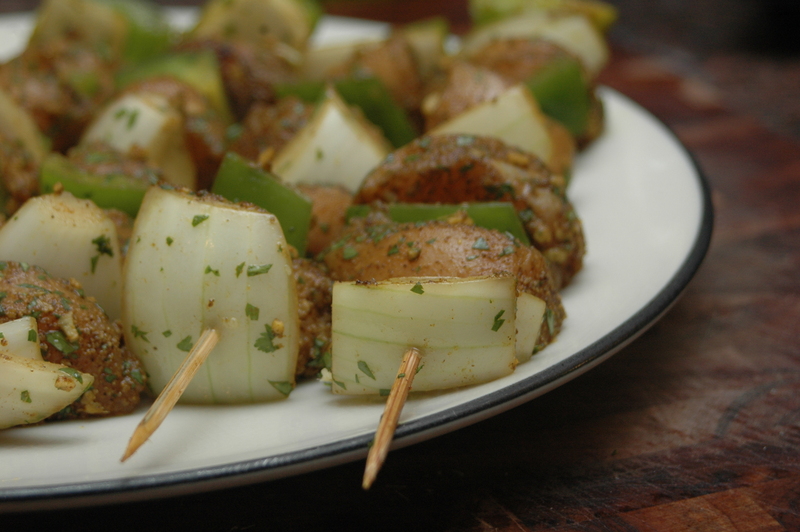 Soak 6 wooden skewers in water for 15 minutes. 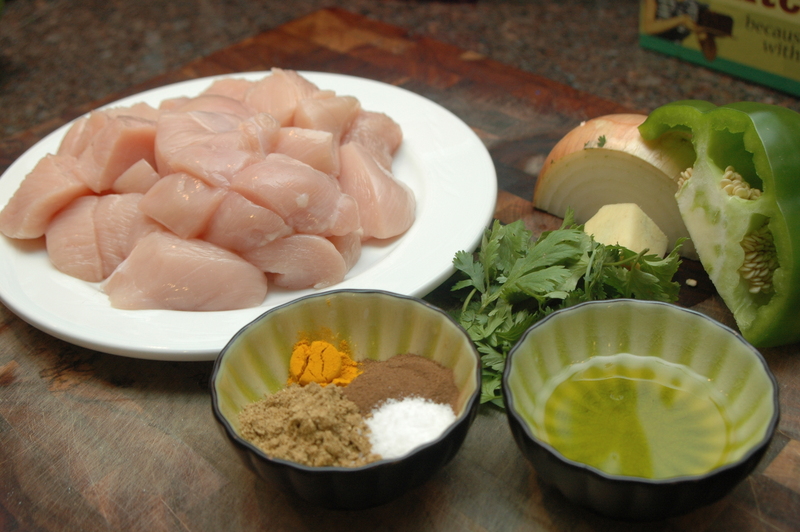 To prep the chicken combine all of the ingredients in a large bowl until the chicken and veggies are coated in the spice mixture. Starting with a bell pepper skewer the meat and veggies going from veggie to chicken until there are 4-5 pieces of chicken on each skewer. 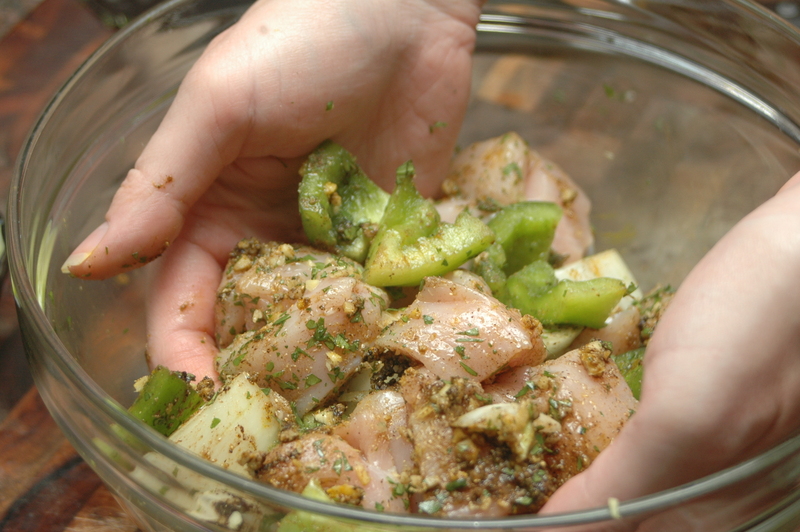 Cover and marinate in the fridge while the sauce cooks. 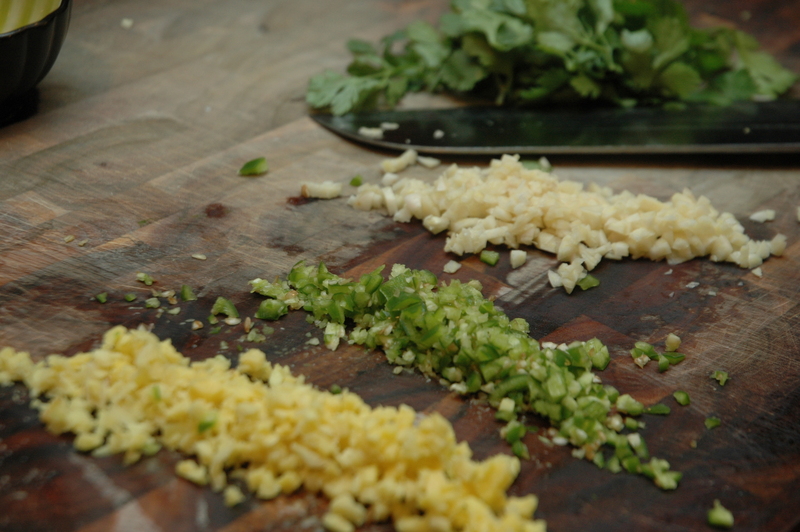 Prep the veggies for the sauce. 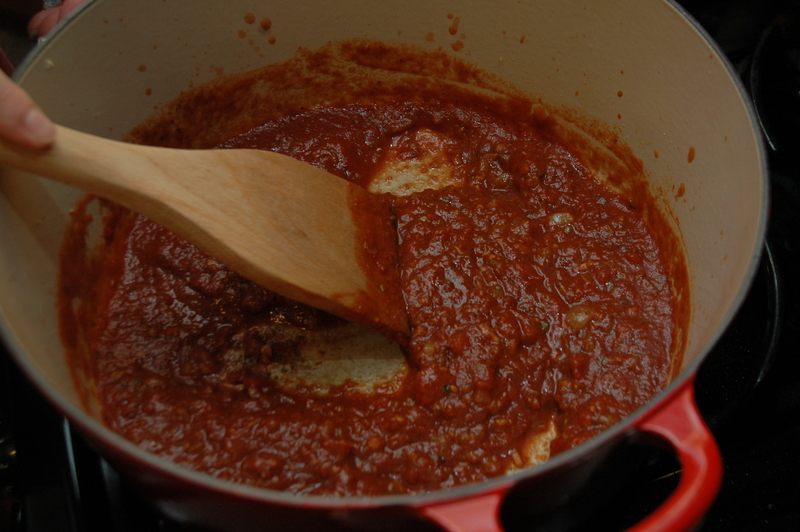 The make the sauce heat the olive oil over medium high heat in a large dutch oven. 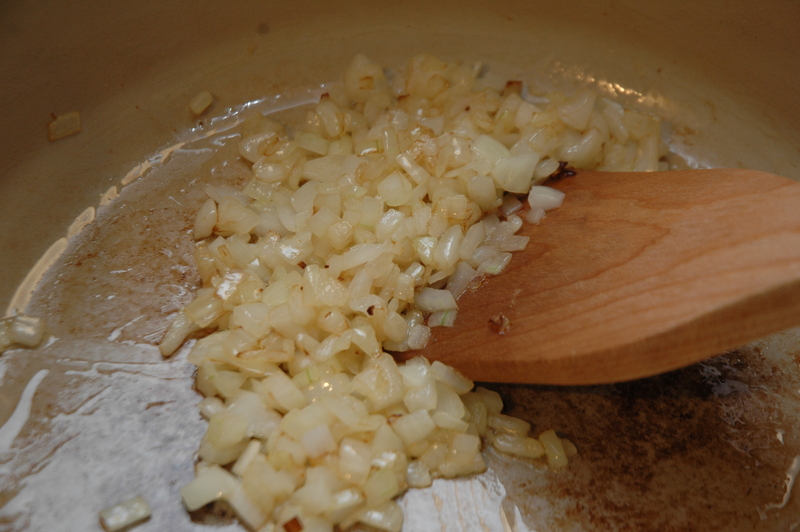 Saute the onions until translucent, around 4-6 minutes. 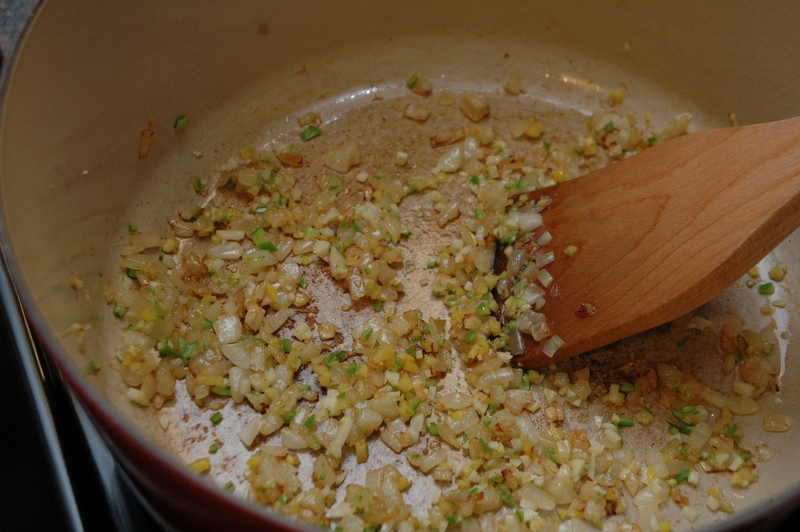 Add the chile, ginger and clove and saute until fragrant. 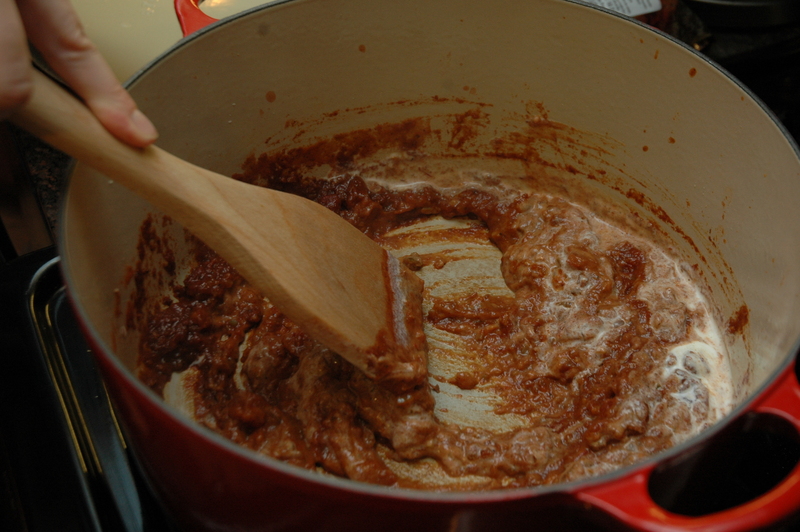 Add the garam masala, tomato paste, sugar and salt and cook until fragrant. 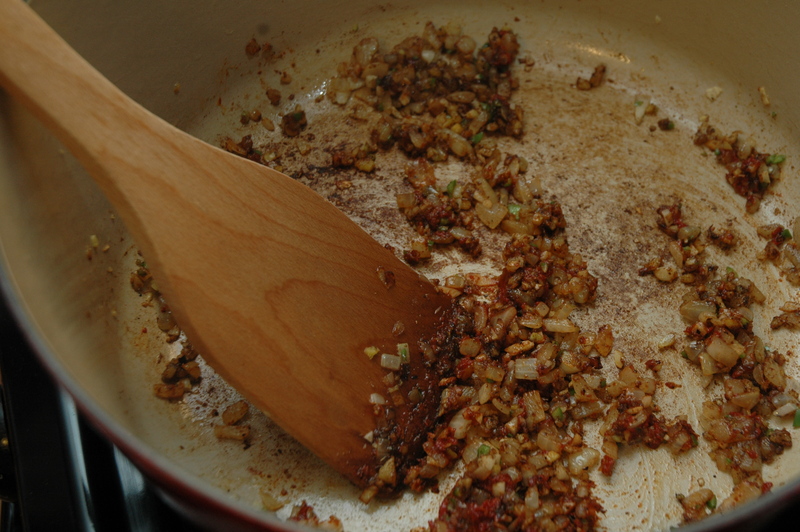 Add the tomatoes and simmer on low for 15 minutes. 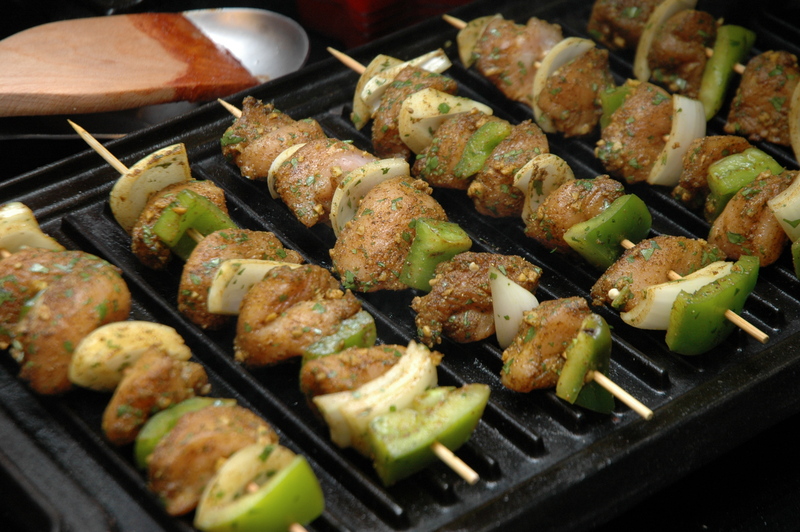 While the sauce simmers heat an outdoor grill or indoor grill top over medium high heat and add the chicken skewers. 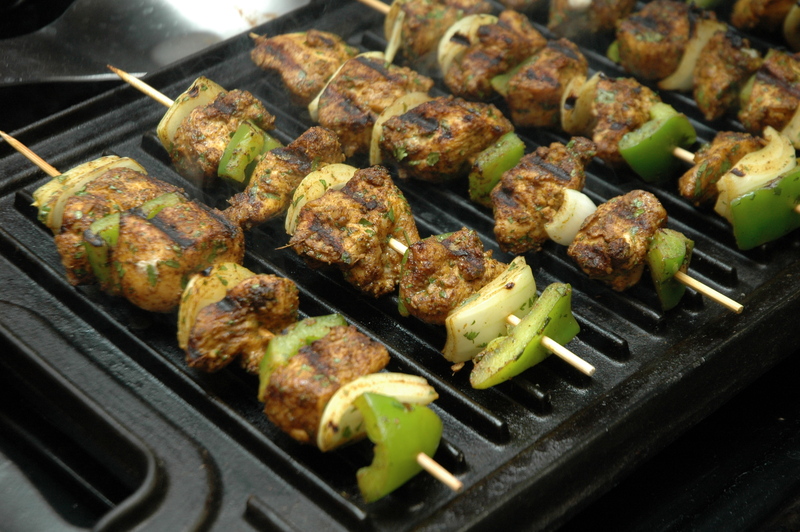 Cook for around 6 minutes on each side or until completely cooked through. Add the cream to the sauce and heat through. 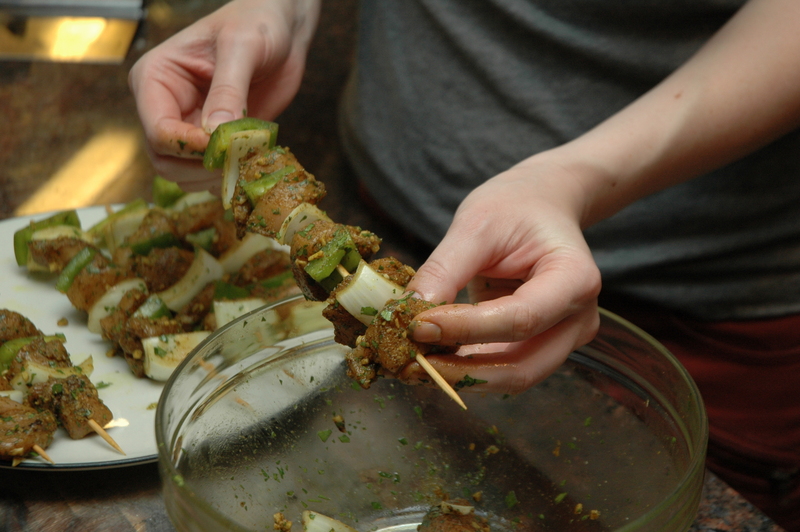 Sprinkle with some cilantro and serve with the skewers.